A successful comeback for Tom Kristensen in the DTM. The Dane, who is replacing Mike Rockenfeller in the Audi A4 DTM at the Lausitzring, set the fastest time in first free practice. He completed his fastest lap at the 3.478 kilometres long track in 1:19.412 minutes. Spielberg-winner Martin Tomczyk ended up second in the session on Friday afternoon. The German only came 0.026 seconds short of Kristensen’s fastest time. 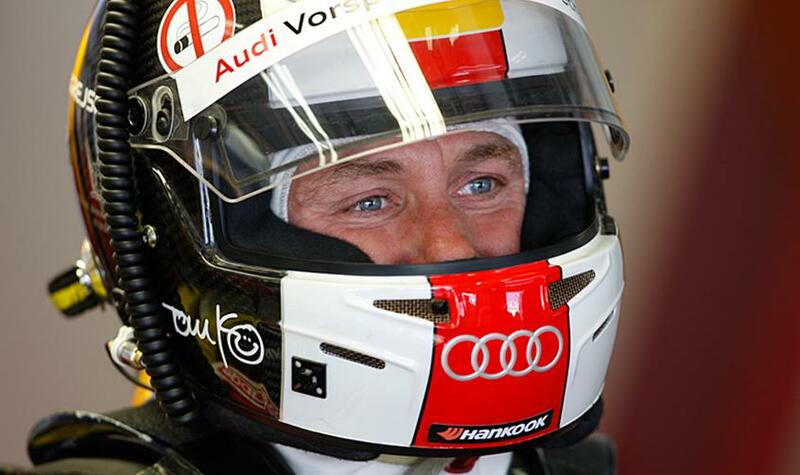 Timo Scheider completed the Audi trio on top of the time sheets by ending up third. The two times’ DTM champion was 0.056 seconds down. Fourth fastest, Christian Vietoris was the best-placed driver with an AMG Mercedes C-Class. He was followed by Filipe Albuquerque (Audi), David Coulthard, Renger van der Zande (both Mercedes-Benz), Oliver Jarvis (Audi), Susie Stoddart (Mercedes-Benz) and Miguel Molina (Audi). The HWA drivers kept a rather low profile starting into the fourth race meeting of the 2011 season. After 90 minutes, Gary Paffett ranked in 13th place while Bruno Spengler, Jamie Green and Ralf Schumacher followed in 14th, 15th and 18th place respectively. Edoardo Mortara (Audi) and Jamie Green (Mercedes-Benz) completed the highest number of laps in first free practice. With 44 laps each, they both completed a distance of 153.023 kilometres. In the first timed practice session, it already became apparent how close competition in the DTM is. The lap times of all drivers, apart from Lausitz-novice Rahel Frey, were within 0.872 seconds. Second free practice on Saturday morning (from 9.30 h) will be followed by the battle for the best starting grid positions. ARD will be broadcasting qualifying from the Lausitz live on Saturday from 13.45 h.